The measurement of earned media needs a change. Compared with their paid media counterparts — who are able to report on exactly how each digital ad affected revenue, as well as definitive information about the audience the ad reached — earned media’s metrics often don’t stack up. While earned media is more influential than paid, because of the lack of measurement, paid media often receives the lion’s share of the marketing budget. For the first time ever, Cision is bringing to market technology that makes it possible for brands to measure the impact of earned media and marketing communications programs accurately. 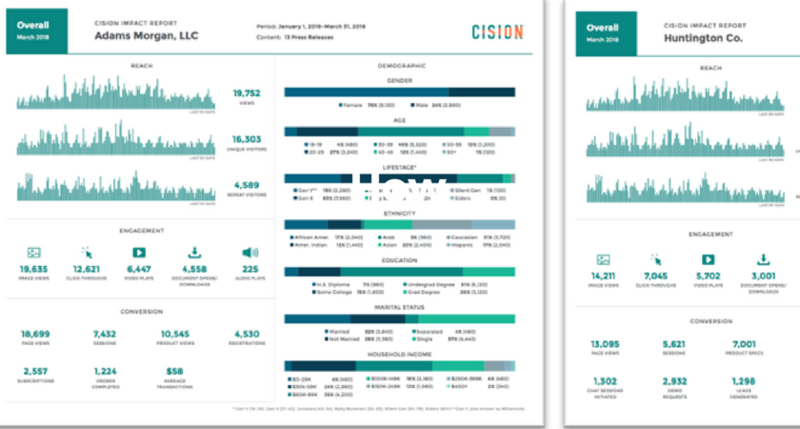 Today, with the announcement of Cision Impact, our customers will be able to deliver, in a detailed report, the value of their earned media efforts. They’ll be able to show earned media metrics that are as definitive as their counterparts in the paid media space and how their campaigns drove revenue for the business. Why is Earned Media so Difficult to Measure? When the communicator builds their campaign — with the goal of driving end-consumer behavior that generates business impact — that comms message must travel an indirect path to the consumer. The message must pass through an influencer, or a medium like a press release or one of the ever-growing list of channels in the complex earned media ecosystem. Because of that indirect path, it has been impossible to track the downstream impact. Standard tracking capabilities just don’t scale and the communicator has had to rely on vanity metrics, such as potential reach, impressions, and content performance to show how they drive brand awareness and exposure for their company. The Cision Innovation Center, lead by Cision’s Chief Data Officer, David Barker, has developed the Cision ID. Leveraging everything we know about how the paid media advertising world works, the dedicated team of engineers, developers, and product managers have developed proprietary tracking technology that tags earned media content. Additionally, we’ve partnered with best-in-class advertising partners and the broader data ecosystem to ensure complete coverage of earned media across the internet. With this AdTech-like tracking capability, comms professionals can now track a single press release view or influencer blog post view all the way through to a lead or shopping cart conversion. Furthermore, with this tracking capability, the Cision ID + our data partnerships allow the comms professional to know detailed demographic and firmographic data about the audience. Reach — True reach (versus potential reach/circulation). Engagement — Specific actions taken by the end-user. Audience Insights — Understand who is actually consuming the content. Conversion — Measure downstream activity and business impact. Cision Impact is the next step in our larger vision to make communications a more data-driven discipline. By giving the communicator more information about their end audience and their ideal influencers, we believe that brands can create more compelling stories and drive business results.